The slowest distillation process in Scotland. Six years spent preparing the perfect oak casks before they receive their first drop of spirit. Barley dried by air, never peat. Glengoyne gives you pause to reflect that it’s only by investing valuable time and infinite care that you can create something of real worth. 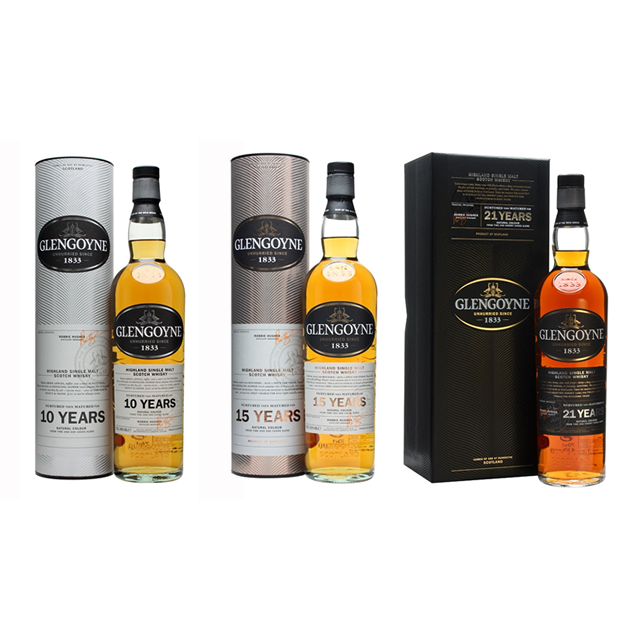 Glengoyne – it’s worth the wait. Sweeter. Linseed oil and almonds. Great introduction to Glengoyne range and a classic in its own right. A brilliantly balanced, very approachable dram. Red apples, toffee, sherry, spicy strudel. Wonderfully deep copper hue and rich mouthfeel, the upshot of 21 years in the finest oak, snail-pace distillation and barley dried by air, never peat.